Yep. 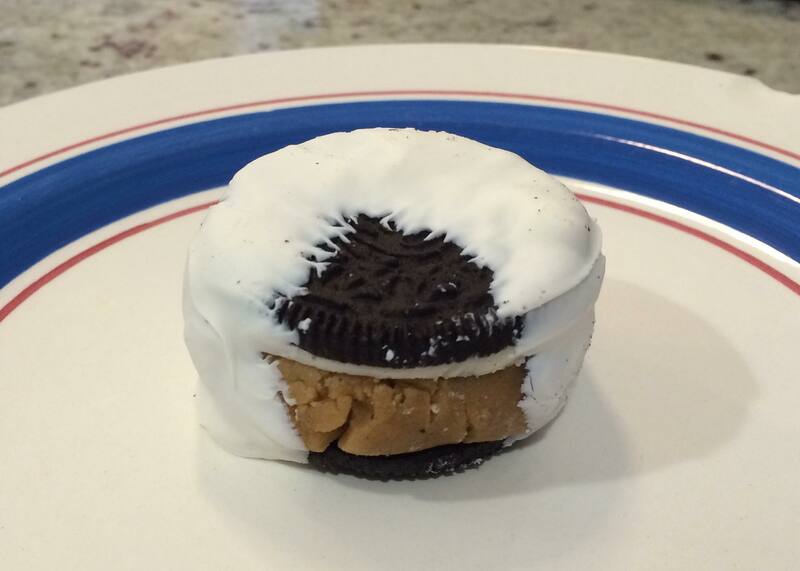 That is a White Chocolate Dipped-Cookie Dough Stuffed-Oreo. One of Mr M’s friends from work had brought them in, and he brought them home for me to try. The inspiration for this came a couple of months ago, when I bought some Lemon and Peppermint Juice at Whole Foods. 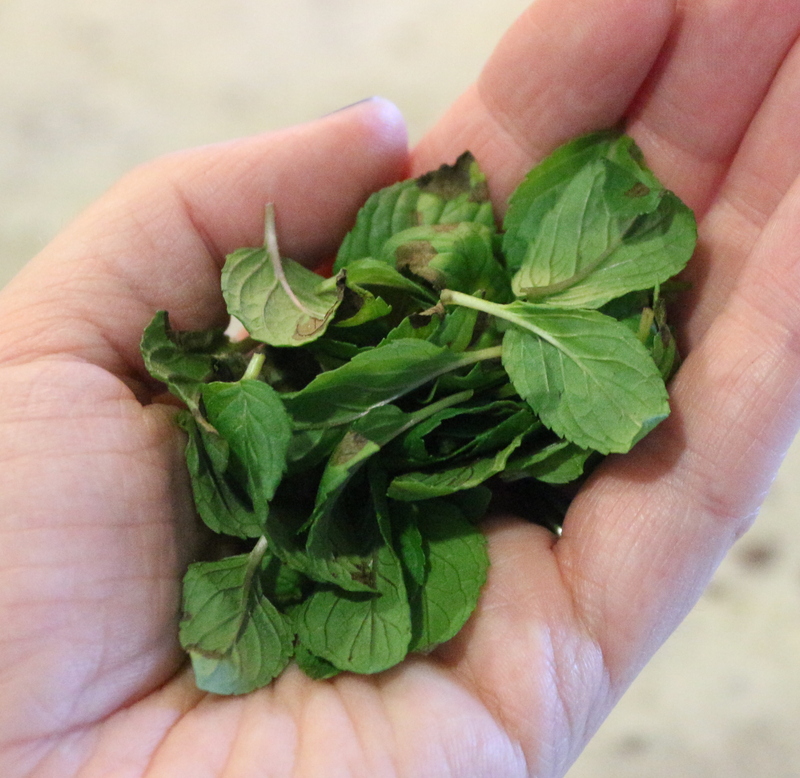 It was a strange sensation – cool, fresh, and lemony, but the peppermint meant that there was a cooling aftereffect. Bizarre. Put the zest and juice of the lemon in a pan, add the water, and bring to the boil. Remove from the heat and add the sugar and citric acid. Stir until all is dissolved. Add the peppermint extract or leaves. 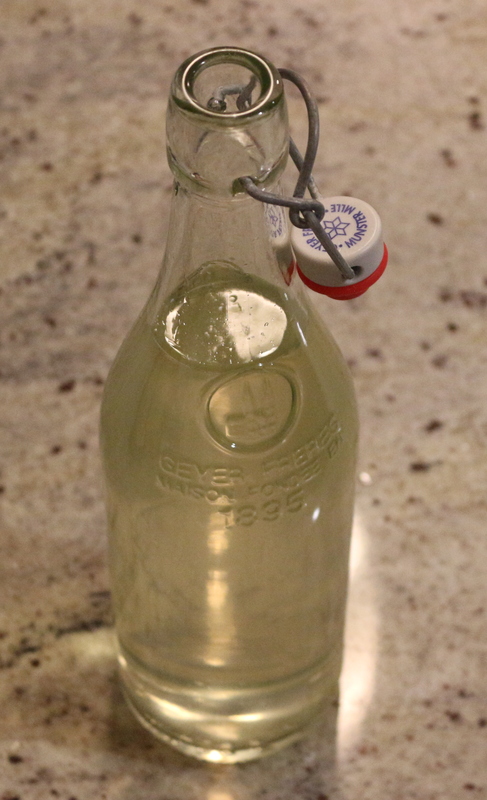 Strain through fine mesh and decant into sterilised bottles.